Hi everyone!! 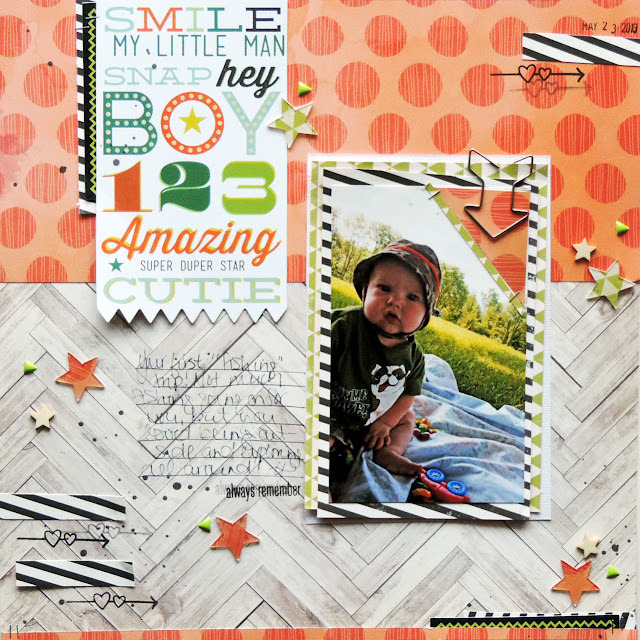 I'm here today to to share another layout made with the Fresh Start kit, that is up on the NoelMignon blog. I love this kit so much...the colors are fabulous, and I love that I have gotten two very different layout looks out of it, (this layout and my princess layout). I loved that Hey Kid banner piece from Pink Paislee, and knew I wanted to use it for the color scheme on this layout, I also used it for my title. 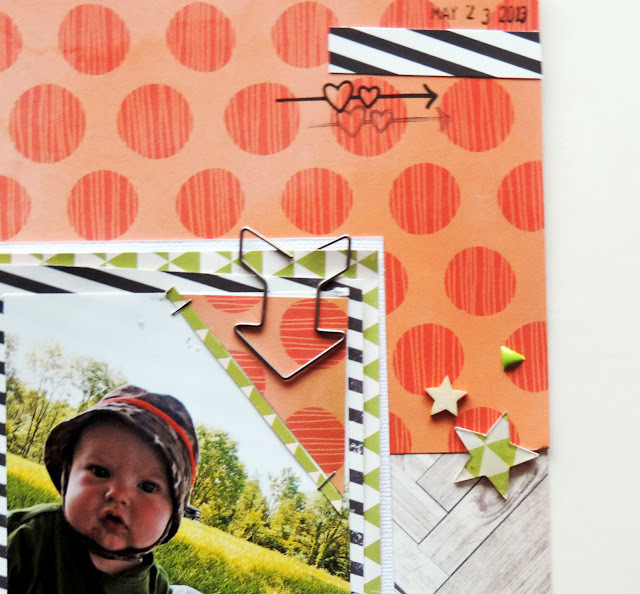 Some very simple layering and I love the finished product. This corner here was actually done as an after thought, I originally had adhered the wood veneer speech bubble in this spot, but it just wasn't working. I went to remove it, and it tore my photo a bit, along with leaving behind some adhesive. A few simple cuts and the adorable arrow clip, and I was able to cover the spot AND it ended up being one of my favorite details of the layout! I felt the corners need a little something more, so I just cut a few strips from that fabulous Elle's Studio paper ( I am saving every sngle scrap of that one LOVE it!) 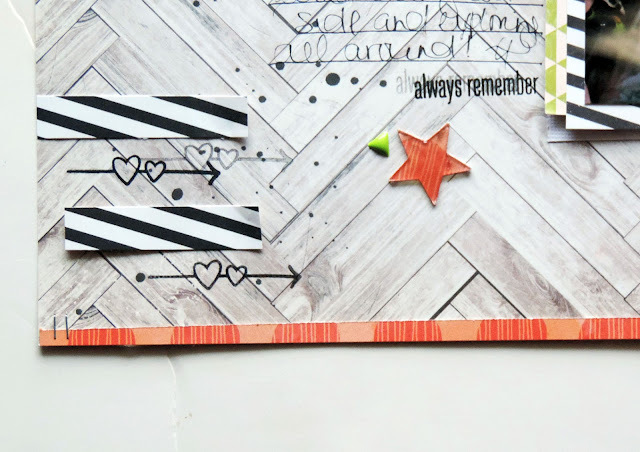 and some messy stamping was the perfect finishing touch! Love how this kit worked absolutely perfect for both a very girly layout and a very boy layout! Noel sure knows how to put them together!! So...if you haven't yet, make sure you scoop up this deal!! Only a very limited number left!! Also, don't forget about the 50% off sale that is going on right now...good on past kits and shop items!! Thanks for stopping in, and I hope you all have a great day, and take time to create something you love!! great page! love the arrow stamp!